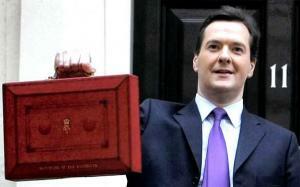 Motor traders are hoping that Chancellor George Osborne will announce a VAT reduction on new and used car sales in this week’s Budget announcement. According to Close Brothers Motor Finance, car dealers are keeping their fingers crossed for good news in this, the last Budget before May's General Election. The organisation says that not only will a decrease in VAT for car purchases help enhance the profits of anyone selling vehicles, but it will also benefit car buyers too, who can get lower prices. Car dealers, both independent part-time traders and large franchises, will always be looking to maximise their profits, as indeed will any business. One approach that could yield good results is to shop around for the cheapest road risks insurance or motor trade insurance quote they can find - working with expert brokers like Bollington can make this task far easier. Close Brothers' chief executive James Broadhead said: “The last few years have been somewhat challenging for many of our dealer partners and whilst we have seen steady growth in the volume of new and used car sales in recent months, there still is more that could be done to help dealers. “Our dealer partners are telling us that what they would like to see most in the budget announcement next week is a reduction in VAT on new and used car sales. “Such a decrease would provide a real boost by allowing dealers to sell new cars for a lower price, making them more affordable and attainable. A reduction on VAT on used cars would enable dealers to sell the cars for a lower price and also retain a higher profit."